Basic wire welding for projects and repairs around the shop, farm or home...thats where the Easy-Core 125 comes in handy! Plug in the Easy-Core 125 anywhere common 120 volt input power is available. Set the simple two-knob tapped control for your material application and get it done. 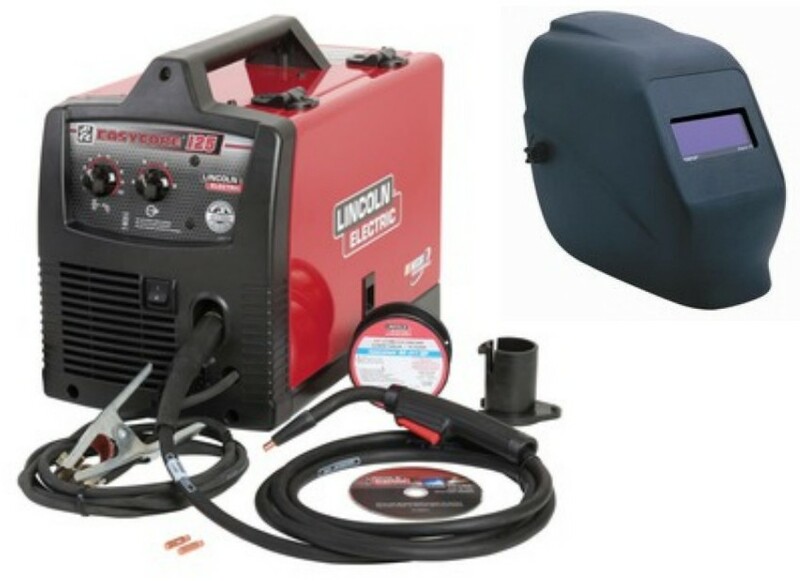 Right out of the box, the Easy-Core 125 is set up for gas-less flux-cored welding so its just right for common steel welding, indoors or out. 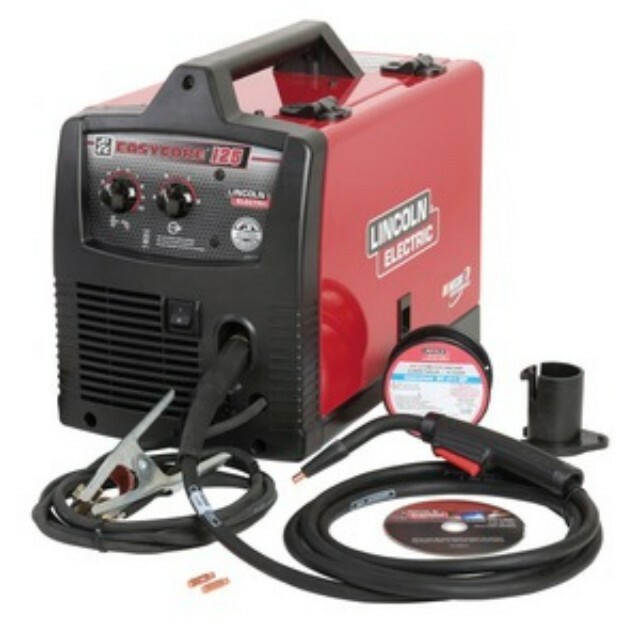 Compare the precise drive, rugged construction and full list of standard accessories...the Lincoln Easy-Core 125 is a top quality tool for anyone with occasional welding needs. 30-125 amp welding output range is enough for many tasks. Weld up to 1/4 steel using self-shielded Lincoln Innershield wires (FCAW-S). With K2526-1 MIG Conversion Kit, MIG weld 24 gauge up to 12 gauge (.105) sheet metal in a single pass. Precision full adjustment drive system reduces chance of wire tangling and crushing. No Hassle Tool-less Design for wire spool mounting, wire drive service and polarity changes. Power Chassis channels airflow to cool power systems, structurally secures key components and traps wires and cables to avoid unnecessary abrasion. Toughest PC Board Protection in the industry Potted to seal sensitive components from the environment, trayed in a tough plastic tray to add rigidity and shock resistance. Three Year Lincoln Warranty/90 Days on gun and cable assembly. 90/19/20% 30-125A DC 50-500 1.3-12.7 .025-.030" .030-.035"